I admit, at first I was going to use bottled lemon juice for this recipe, but I am so glad I picked up a fresh lemon at the produce market. There is no substitute for a squeeze of fresh lemon juice! I was inspired by this recipe from 101 Cookbooks, but I made a few changes. The can of beans I had in my cabinet turned out to be white beans instead of chick peas. And while I like kale, I spotted Chinese broccoli at the produce market, and it is one of my favorites, so I decided to use that instead. 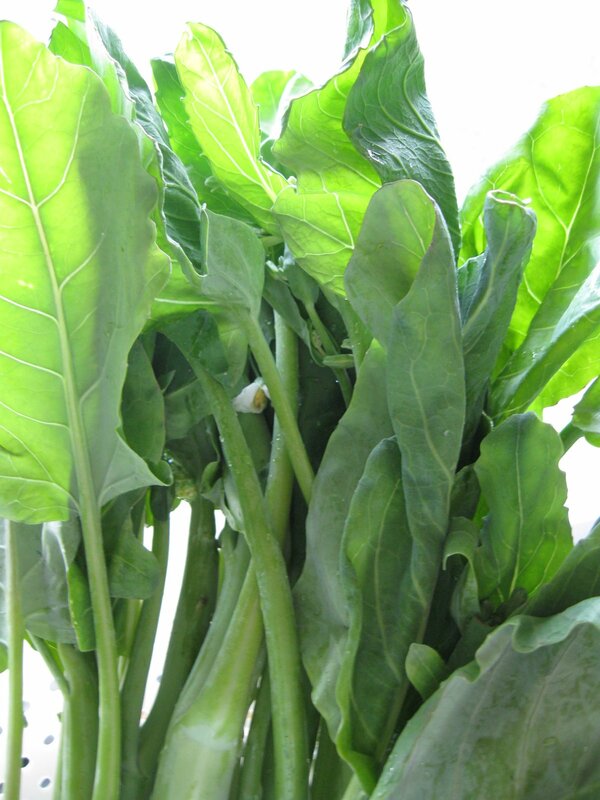 If you’ve never tried Chinese broccoli, it has lovely green leaves, and tender stalks. You will most likely find it at produce markets and Chinese supermarkets. I used about 2-3 cups of Chinese broccoli, so I reduced the amount of zucchini. The final product was wonderful, and a recipe I know I will make again and again.